Fitzroy is my favourite suburb in Melbourne. It became my favourite suburb about 15 years ago when Vito, an old work colleague, introduced me to The Rainbow Hotel. I loved how that pub blended into inner city suburbia. 15 years on, I’m still discovering gems in Fitzroy. 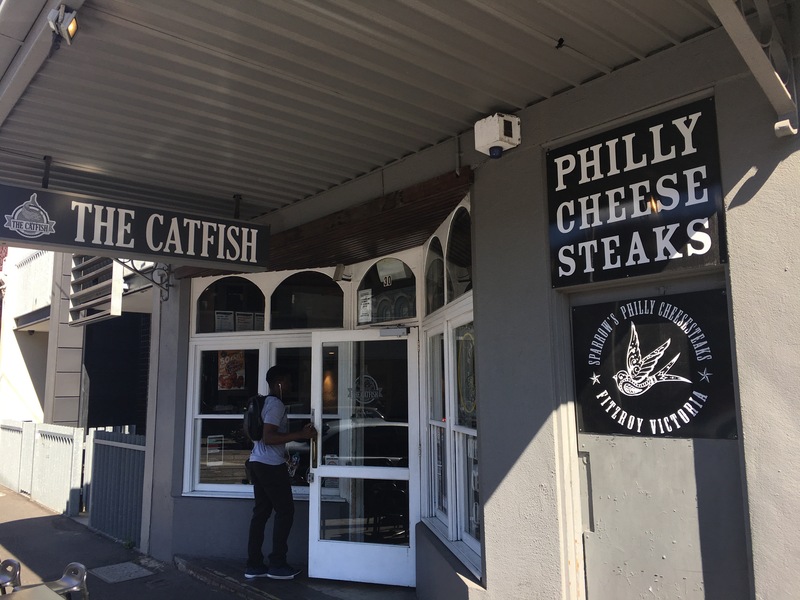 Whilst places like Labor In Vain, The Napier and The Rainbow have probably been around for at least a century, I think The Catfish is a new venue in an old building. It is a bar on a residential/small business strip, but according to its website, its owners founded it in 2013. Gees, they’ve done a good job. There’s a band room, a beer garden, a restaurant and a large front bar. They’ve achieved a decades old look. My favourite item is the old wooden TV that’s been turned into a fish tank that houses a catfish. The catfish swims under the chalked tap beer menu. There’s 8 taps, and on this visit the list was busting with uniques. 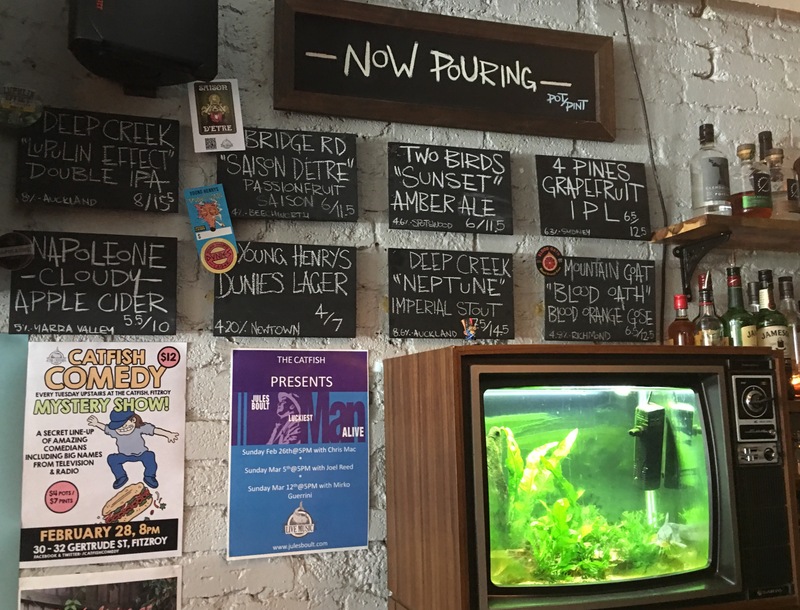 As a Sydneysider I was proud to see a quarter of the menu occupied by NSW beers. 4 Pines very fine Grapefruit IPL had a guernsey and Young Henrys’ very latest offering featured. It looks like Young Henrys has formed a nice tie up with The Catfish. The first Thursday of every month features Young Henry Rock & Roll Trivia. Dunies Lager, which I reckon was launched a week ago was pouring forth. That’s the co-founder, second from right at the bar. Dunies Lager is a collaboration between the stoner band The Dune Rats and Young Henrys. The back story is here and Crafty Pint more detail, but I’m impressed that within a fortnight of launch I’m sipping this in Melbourne. It was a bloody hot day, and Dunies is a tasty smashable Lager and just the summer ticket. For many reasons I’ll return to The Catfish. Top of my list of reasons is the food. 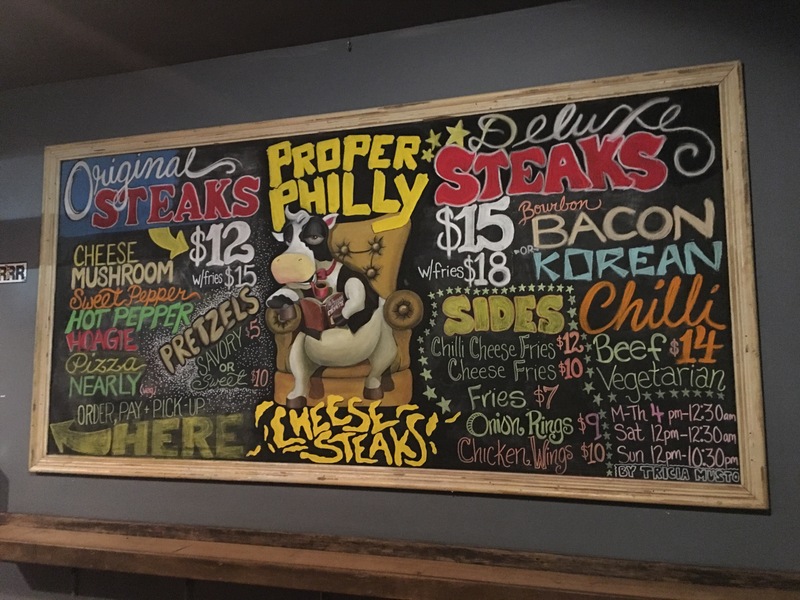 Philly Cheese Steaks feature prominently on one of the more beautiful menus in the world. 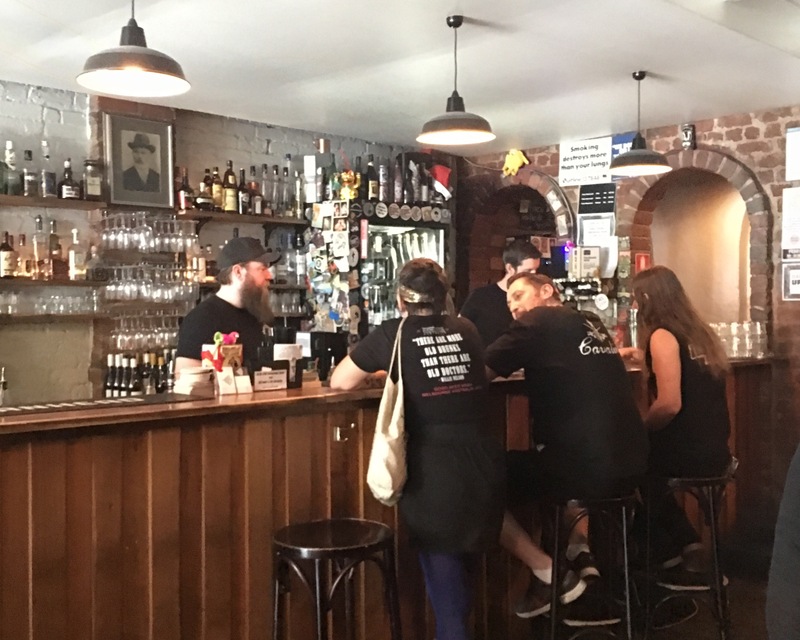 I don’t think there’s a dud pub in Fitzroy – but this is a real beauty. 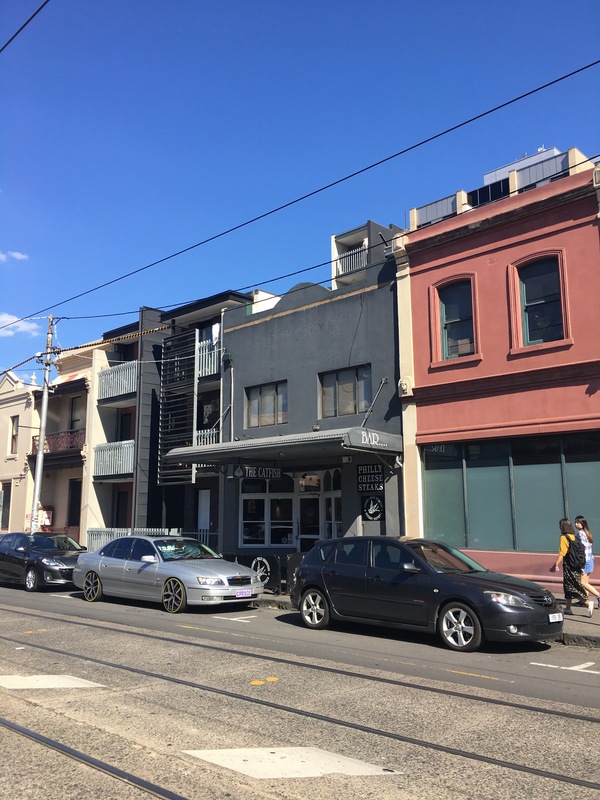 The Catfish: 30 Gertrude Street, Fitzroy, Victoria.